This clever infinity wrap is twisted in the middle in the same manner as a Mobius strip. It is a rectangle worked flat with two fun stitch patterns and then twisted and joined to form the Mobius shape It is a piece and can also be worn as a wrap. 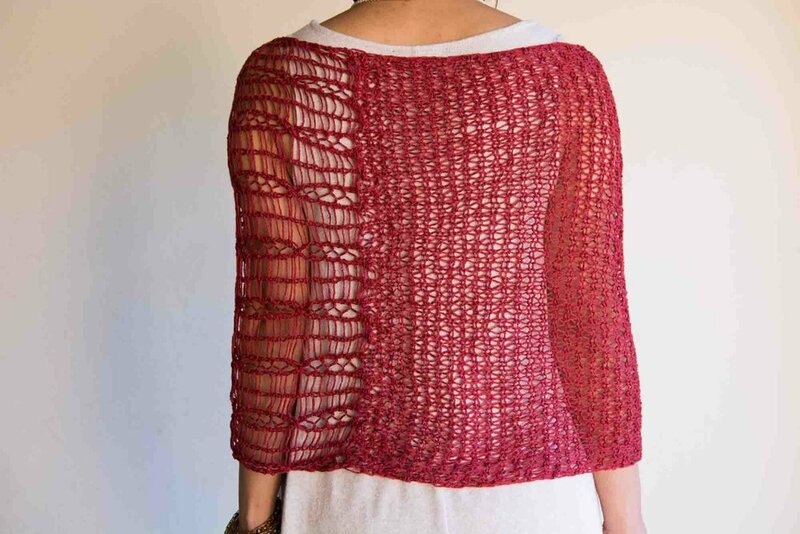 The first stitch pattern is the Dropped Stitch Cable Pattern. I have been swatching stitch patterns combining dropped stitches with cables. This is the newest version I’ve made. It is easy to work, makes the fabric lacy and drapes well. The second stitch pattern is a Double Seed Stitch worked with two different needle sizes. Both stitch patterns are fun to work. 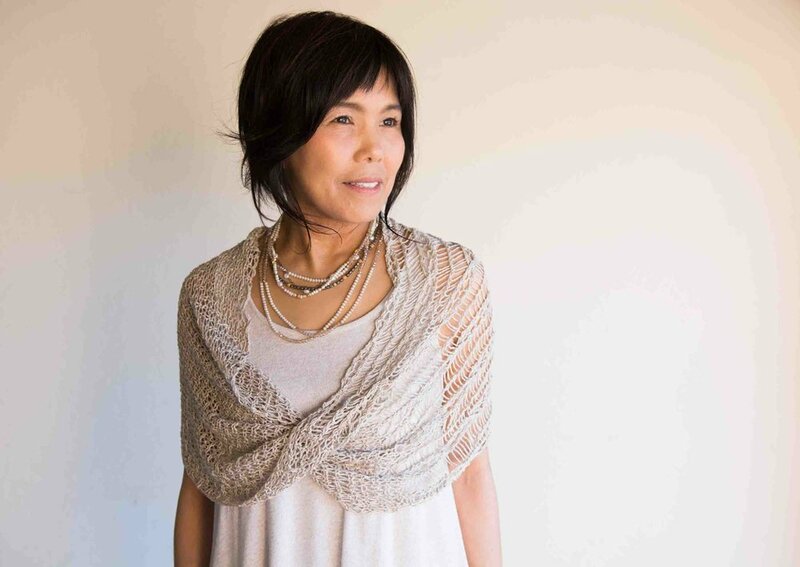 Show the right side of the Dropped Stitch Cable Pattern when wearing this wrap. The Double Seed Stitch Pattern is reversible.